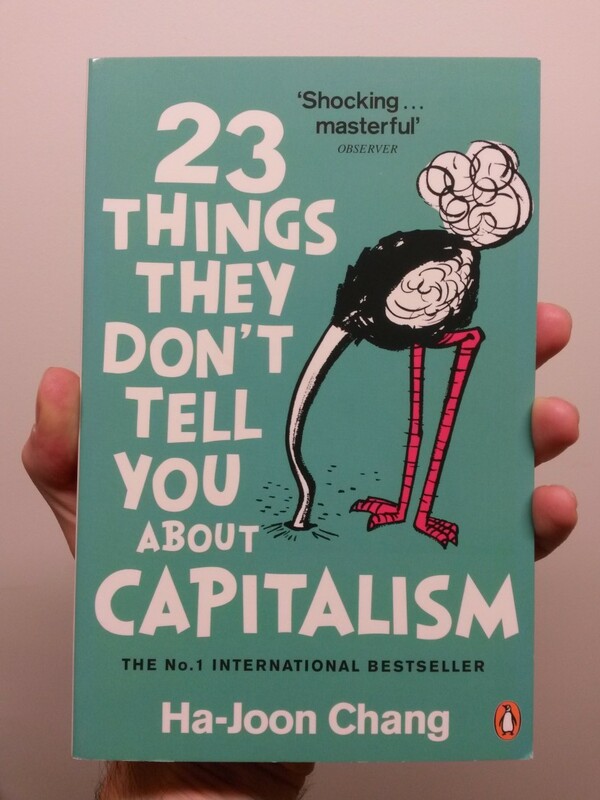 The title describes the book: 23 things, some counterintuitive, some perhaps contentious, they you may not have realised about the economic system that the world runs on. The presentation and organisation of this book is inspired partly by Dr Seuss, which is almost reason enough to buy it. There’s also a rather clever and useful section suggesting how to read the book with particular issues in mind: for example, if you don’t know what capitalism is, or if you think politics is a waste of time.